Smith’s Fort Plantation is the site of Captain John Smith’s proposed “New Fort” and is located directly across the James River from Jamestown. The site still has earthworks that mark the spot of the unfinished fort site partially completed in 1609 before being abandoned. The current house is situated on land given by Chief Wahunsenacawh (Powhatan) as a dowry for his daughter Pocahontas’ marriage to John Rolfe in 1614. The manor house on the property was built by Jacob Faulcon circa 1761 and retains much of its original pine woodwork. The “Blue Room” is especially charming with original arched cupboards with butterfly shelving. Smith’s Fort was acquired by Preservation Virginia in 1933 after it was restored by John D. Rockefeller, Jr.
Memorial Day – Labor Day: Monday 10 a.m. – 5 p.m. Explore early American life in Surry County at historic Smith’s Fort Plantation. In a 45-minute tour guided by one of our trained interpreters, you’ll learn about the lives and legacies of Captain John Smith, John Rolfe, Pocahontas and Chief Wahunsenacawh. Walk through the earthworks that remain of Captain Smith’s planned fort site. The historic Virginia flower gardens overseen by the Garden Club of Virginia display plants found in the colonial gardens of Williamsburg and Yorktown. 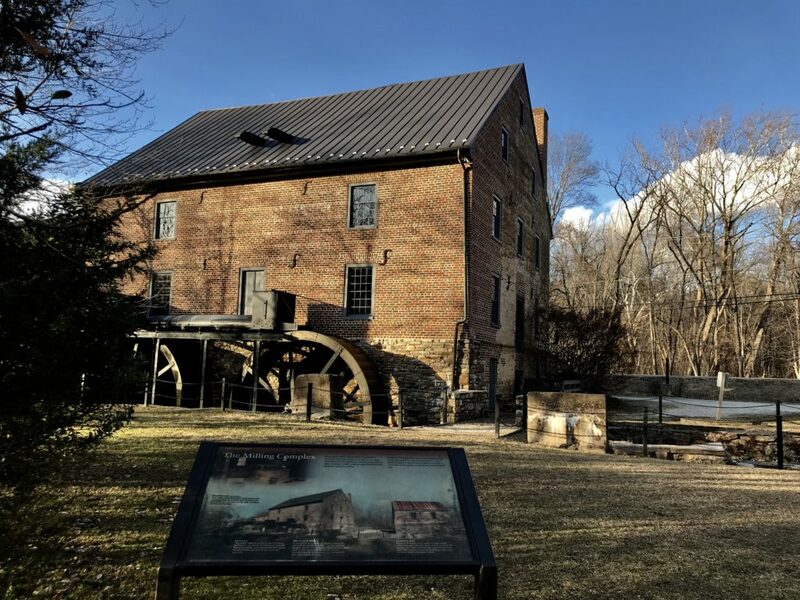 You can hop on the Jamestown-Scotland Ferry for free to visit Preservation Virginia’s Historic Jamestowne or take a short car ride to Bacon’s Castle. Buy a Block Ticket to visit Smith’s Fort and Bacon’s Castle for one special price, $14. Smith’s Fort Plantation is a beautifully restored 18th century manor style home with a tree-lined driveway, manicured front lawn and stunning gardens in Surry, Virginia. Make your event truly special with Smith’s Fort’s unique blend of Virginia architecture, history and garden space. Meeting Space: Rent Smith’s Fort Plantation for your small group meetings and events. Special Events: Rent our grounds for your special occasion. 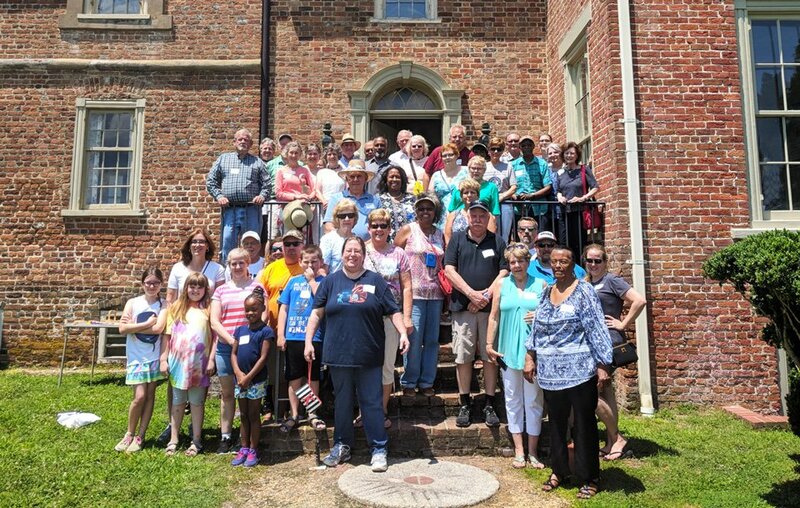 Explore 18th century American life with a group tour of Smith’s Fort Plantation. From the quaint manor house to the earthworks of Captain John Smith’s planned “New Fort,” our museum interpreters will take you on a journey that examines the lives of Pocahontas, John Rolfe, Chief Wahunsenacawh (Powhatan) and Captain John Smith. Consider enhancing your trip with a tour of Bacon’s Castle, which is a short ride from Smith’s Fort. Group tours are available by arrangements made no less than one week in advance of the visit.